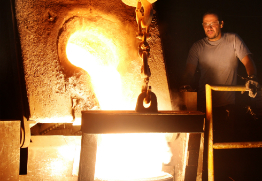 Foundry employees pours molten iron into mold for casting. Clarksville Foundry’s architectural castings are located in numerous notable locations, such as the Michigan state capitol building, Tattnall Square Park in Macon, Georgia, Nashville’s Ryman Auditorium and the Heceta Head lighthouse off the Oregon coast. Model 1841 6-Pounder Field Gun Replica – Clarksville, Tenn.
On the Montgomery County Courthouse grounds, May 12, community leaders gathered to see Civil War history come to life, for the second time, thanks to Clarksville Foundry. 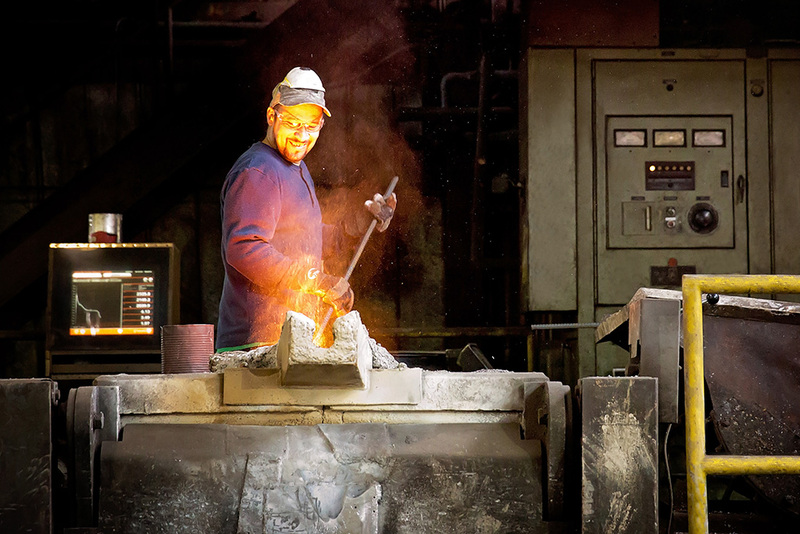 Clarksville Foundry is one of the oldest continuously operating foundries in the United States. The foundry’s origins predate the Civil War, having first opened in 1847. While the family owned and operated foundry today casts component parts for a variety of industries, it once manufactured cannons and munitions for the Confederate States of America (1861-1862). 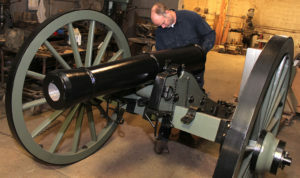 Prior to the Civil War Sesquicentennial in 2011, Clarksville Foundry President Charles Foust Jr. obtained an original drawing of a Model 1841 6-Pounder Field Gun, and along with foundry employees, created a pattern and cast a cannon barrel that was mounted on a Civil War-era carriage reproduction. 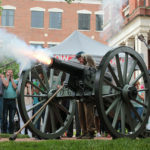 This 6-Pounder Field Gun was fired to kick off local Sesquicentennial festivities and is now on display at Fort Defiance Civil War Park and Interpretative Center. While assembling the newly-produced barrel onto the replica carriage, foundry personnel noticed that the carriage was almost entirely made of iron castings and agreed they should be able to cast their own version. They obtained copies of a complete set of engineering drawings for a No. 1 field gun carriage. In the three-year period from 2010 through 2012, using the project as “fill-in” work, Clarksville Foundry patternmaker James Lumpkin built a total of 13 patterns to produce all the necessary components of the carriage. 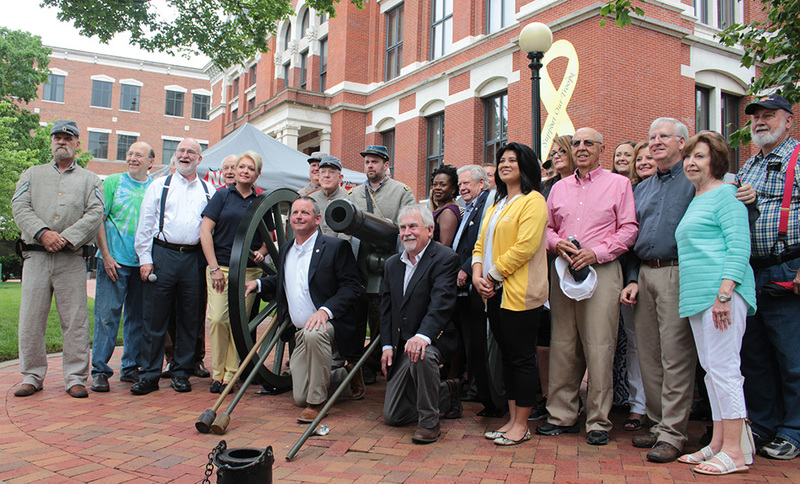 The Sesquicentennial cannon made such an impression that when Clarksville Rotary Club’s past presidents came together to plan activities for their 100th Anniversary in May 2017, they approached Foust about casting another replica for permanent display downtown. Foust – both engineer and history buff – happily obliged and took the replication process to the extreme by casting, fabricating and assembling every part required for the complete barrel and carriage. The casting of the carriage components began in September 2016. The barrel was the last component cast, poured on April 13. 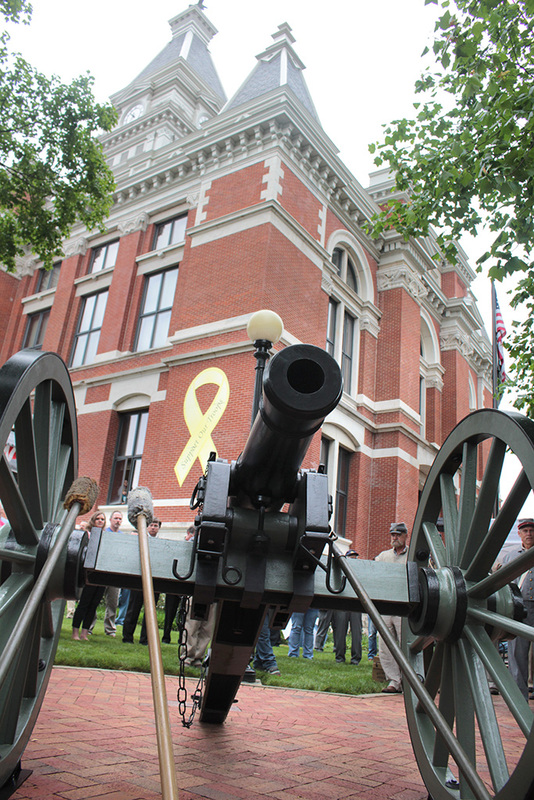 After the completed cannon was unveiled on the Montgomery County Courthouse grounds, Civil War reenactment group Porter’s Battery fired off blanks from the fully-assembled replica. 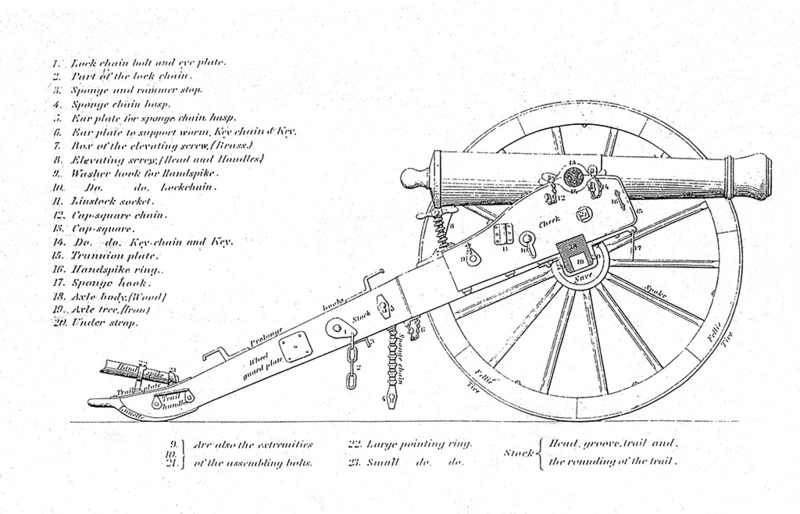 The 6-Pounder Field Gun is named after the weight of the cannon balls it fires. 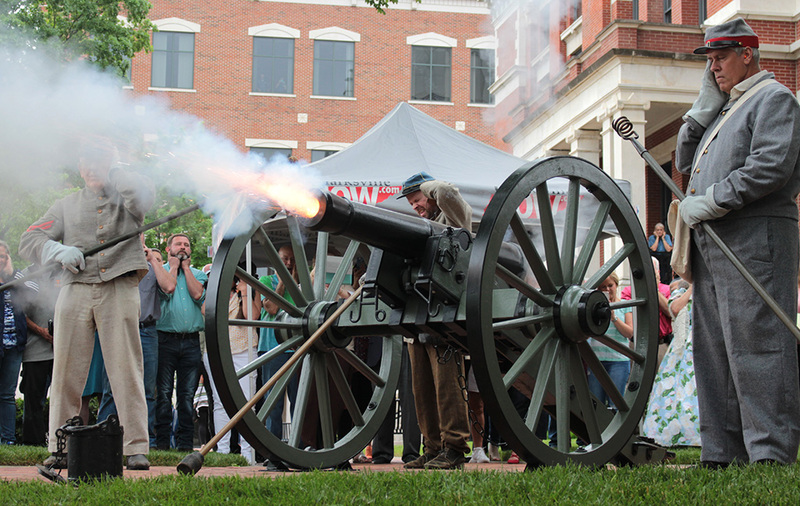 The cannon shot a 6-pound ball that could travel about 1,500 yards. The cannon barrels were originally made from either cast iron or bronze, with bronze being more common with a weight of 880 pounds. The cannon barrel measures 5 feet in length with a bore diameter of 3-5/8 inches. Originally manufactured for use in the Mexican-American War (1846-1848), the 6-Pounder was one of the more common artillery pieces of the Civil War, produced and used by both the North and the South. The replica cannon’s barrel and carriage are cast using ductile iron. During the Civil War era, cannons were made from gray cast iron, as ductile iron was not invented until 1943. Civil War-era wood carriages weighed approximately 900 pounds and required six horses to pull the assembly. The project required 47 castings and fabrication of an additional 23 parts at Clarksville Foundry. Foust commended the efforts of the entire foundry staff during this project, who worked on patterns, assembly, fabrication and casting of the cannon. 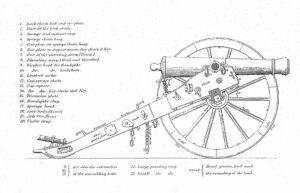 After obtaining this Civil War-era cannon sketch, Clarksville Foundry patternmaker James Lumpkin built a total of 13 patterns to produce all the necessary components of the carriage. Clarksville Foundry cast the entire Civil War-era replica cannon in-house, including the barrel and carriage. 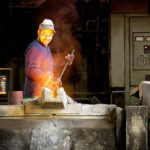 Typically, Clarksville Foundry produces castings for a variety of industries, such as components for air compressors and electrical switchgear. A public art display like the cannon allows the foundry to showcase its capabilities in a more visible manner. 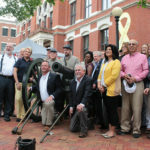 Clarksville Foundry also produced a smaller 50-pound, 2-foot-long cannon replica, donated as a Silent Auction item for the Clarksville Rotary Club 100th Anniversary Gala, May 17. © 2019 Clarksville Foundry. All rights reserved. Images may not be published, rewritten or redistributed, in whole or part, without the written permission of Clarksville Foundry or without proper credit given to Clarksville Foundry.